Oh my Lord it finally happened! Do you remember when you were a kid, and you thought a 60-year-old person was about as close to death is anyone you could imagine? Do you remember 30 years ago, when many 60-year-olds were barely able to function in the competitive business world? To be in shape? To be a vital part of a healthy, sexual, intimate relationship? Thank God times have changed . And they’ve changed in the most beautiful ways ever. Number one best-selling author, counselor, life coach and radio host David Essel is one of those people who can attest to the fact that being 60 years old is the start of something big. Something new . Something big. And something vital in our society today. Here’s what David has to say about aging in 2017 , 2018 and beyond. ” if someone would’ve asked me 40 years ago what my life would look like at age 61, it would’ve been a far cry from the way I live today. And I’m not alone. Aging in America is a thing of the past. But, if you want great results in life you’ve got to be willing to put out the effort. On the flipside, there are many 40 50, 60 and 70-year-old men and women in the United States that are in horrendous shape. But it comes down to personal choice. If you look in the mirror today, and you’re happy with what you see… Rock on. If you’re not happy, follow tips below so that you can see what it feels like, and understand why, I believe that 60 is the new 30 in our country today. Number one. Diet. Need I say more? Beginning in your 40s, if you’re not paying really close attention to eating clean, your 60s are going to feel like someone who’s 110 years of age. Diet is the number one cause of disease in our country today. High blood pressure. High triglycerides. Type two diabetes. High cholesterol. Fatigue. Insomnia. So many of these conditions can be tied directly to our diet. If you want to feel like you’re 30, when you’re 60 years of age or older we all need to be eating a super healthy, clean diet. Lots of lean protein. Lots of vegetables. Medium amount of fruit. And a lower amount of complex carbohydrates like bread, cookies, crackers, rice and pasta. I recommend my clients , if they want to lead the healthiest life possible, to eat only organic foods, or as many organic foods that are possible. Most major supermarket chains are starting to lean towards offering a lot of organic options, so the price points have gone down dramatically over the past 20 years. Good news for you, the aging American, that wants to feel and look like they’re 30 years of age. Number two. Attacking your shadow side. Now this might seem weird, coming from a guy who loves to look young, feel young, eat healthy, exercise daily and do the work he loves. But this 61-year-old can tell you firsthand, that until I attacked my addiction to alcohol and drugs years ago, I would not have the energy, or look as young as I do today if I continued drinking on a regular basis. Look at your Darkside. What habits do you have, alcohol, smoking, fast food, gambling, etc. etc. that could be aging you before your times? At first it might seem like I’m offering a boring life. But far from it. When I look at friends of mine, who are the same age, that are on six, seven or eight medications a day for cholesterol, blood pressure, depression, anxiety and more… I know right away it’s because they haven’t taken care of the demons within. The Darkside. The things that we don’t want to talk about, the things that we are embarrassed about. Work with A counselor or a coach starting right now! When you decrease your stress, you increase your vitality. Number three. If you would’ve asked Jack La Lane, how he looked so incredible into his 90s, he was one of the leaders of the fitness Revolution that we could see on television when we were kids. But why haven’t more people taking his advice? Why do we have 80% or more of Americans who are sedentary in life? The people in their 60s and 70s today, that look and feel like they’re in their 30s, can attribute most of it to an exercise program not just their genetics. We have to make an all out commitment to a daily exercise program, which of course could be uncomfortable at first, if we want to have the energy and vitality of a 30-year-old. And it sure is worth it. 30 years ago as a fitness expert, I was on the cover of multiple magazines including men’s fitness. Ironically last week, the 30th anniversary of men’s fitness magazine came out and there I was again! The cover of the magazine I did 30 years ago was featured in one today. And guess what? Because of my commitment to exercise, I’m ready to be on the cover of men’s fitness once again. At 61 years of age! You can do this too. I don’t have any secret other than dedication and perseverance… And you were born with those two things as well. Exercise 5 to 6 times a week, and 12 months from now you will have a radically transform body. Number four. Our willingness to help others. This is one of the greatest antiaging secrets that I could discuss today. When you’re willing to help others, who are in need of your service, it’s amazing how much more energy you bring into this world. Some people do this through activities like Habitat for Humanity. Others through their church. Others through alcoholics anonymous meetings. Others by working with Cub Scouts or Boy Scouts, Girl Scouts or the boys and girls clubs of America. Number five. Daily meditation, prayer, journaling is an absolute must in order to calm the mind, open the spirit, and take on the energy of a 30-year-old when you’re 60, 70 or older. Over the years so many studies have shown the connection between high functioning immune system’s and people who regularly are involved in some type of spiritual practice. For some it might be church, for others spending time every morning in nature, for others yoga, or Pilates… Can actually be spiritual exercises. Having gratitude, especially in writing, every day for things that you are appreciative of is crucial to be able to have the younger mindset, but not only mindset also a younger body. You can Google videos on YouTube for beginning meditation, visualization, and other relaxation techniques in order to get a jumpstart, and reducing the effect of a gene, enhancing in your mind, body and spirit. To wrap all of this up, I hit my first number one best-selling book at the age of 60. 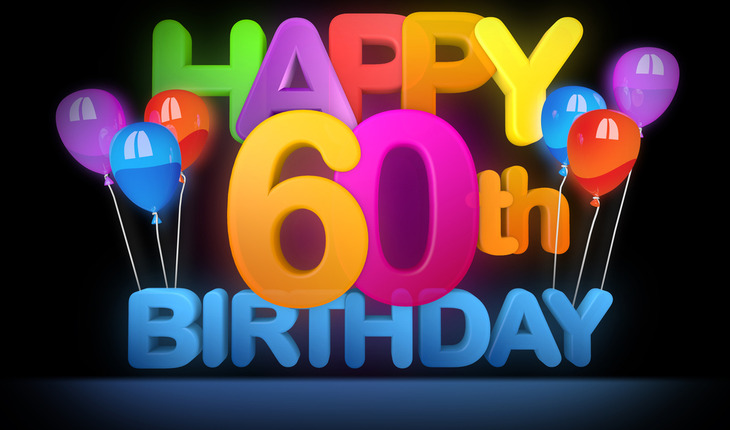 Even though I had written eight previous books, and have been writing books for over 21 years, the culmination of all of my effort finally took place at 60. And you can do the same thing. Never give up. Never, ever ever give up.